When planning a Disney Cruise Line vacation, the only thing you will want to worry about is which suntan lotion to pack. Just as Disney Cruise Line has created a vacation that anticipates your every need, they have also planned for the unexpected by arranging the Disney Cruise Vacations Protection Plan. When including insurance with your Disney Cruise package, it can be added to your cruise up until your balance due date or when full payment is made. (It can also be removed prior to paying your balance.) Once the final payment is made, insurance cannot be added or removed. COST: 8% of the per person voyage fare, including the non-commissionable portion of the voyage fare. The minimum per person cost is $29 and the maximum per person cost is $399. Prices are per guest and are subject to change without notice. It's designed to give them peace of mind by protecting vacation investment, health and belongings. The Plan is a combination of travel insurance benefits and emergency hotline services created and provided by World Access Service Corporation. Below is a brief summary of what is included. Trip Cancellation/Interruption Protection* for any non-refundable fees if your clients must cancel or interrupt their trip due to a covered medical condition or other specified cause. Clients who have to cancel for any reason not covered will receive 100% of the non-refundable cancellation fee toward a future Disney Cruise Vacations package. Travel Delay Protection* for reasonable, additional traveling expenses incurred up to $500 due to a covered travel delay. Emergency Medical/Dental Benefits* if your clients suffer a covered accidental injury or illness while on their trip. They will be reimbursed up to $10,000 for covered emergency medical and dental expenses. Emergency Medical Transportation to the nearest appropriate medical facility due to a covered illness or injury incurred by them for up to $30,000. Baggage Coverage* and Delay Protection* for a covered loss, theft, or damage to personal effects up to $3,000. For baggage delays of more than 24 hours, the Plan provides reimbursement up to $500 for the purchase of essential items. Emergency Assistance with a world-wide 24-hour hotline for help with travel-related problems such as lost travel documents and emergency cash transfers. *Insurance coverages underwritten by Transamerica Casualty Insurance Company. 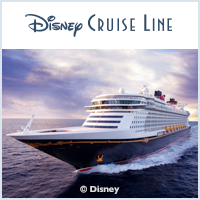 Only expenses booked through Disney Cruise Vacations will be covered. Maximum coverage available is $10,000 per individual. Prices are per guest and subject to change without notice. All prices are in U.S. dollars. Pre-Existing Condition exclusions and other exclusions, limitations and restrictions apply. For a full description, detailing the limits, terms, conditions and exclusions of the Plan, and what to do in the event of an emergency, please refer to the Description of Coverage that is included with travel documents. If you have questions you may call World Access Service Corporation directly at 877-593-4988. The Emergency Medical Transportation and Assistance services are provided by Access America, a division of World Access Service Corporation. Please be advised this optional coverage may duplicate coverage already provided by your personal auto insurance policy, homeowner's insurance policy, personal liability insurance policy or other source of coverage. This insurance is not required in connection with the Insured's purchase of travel tickets. If you find that this coverage does not suit your needs, or if you prefer making your own trip insurance arrangements, you may want to visit this website: www.insuremytrip.com . You can compare the different policies that are available for travelers.